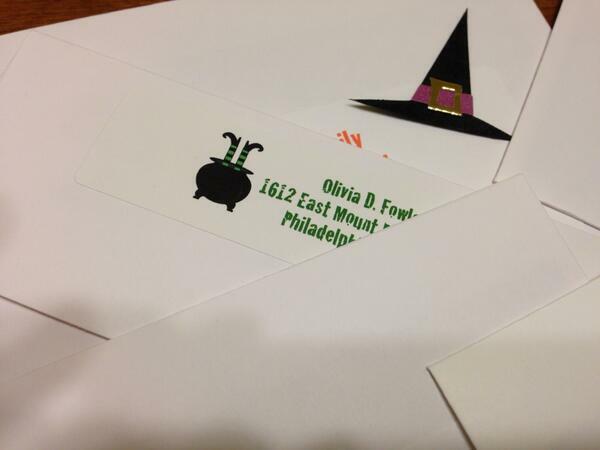 We had a great time hosting a Halloween party for Olivia and her friends this weekend. 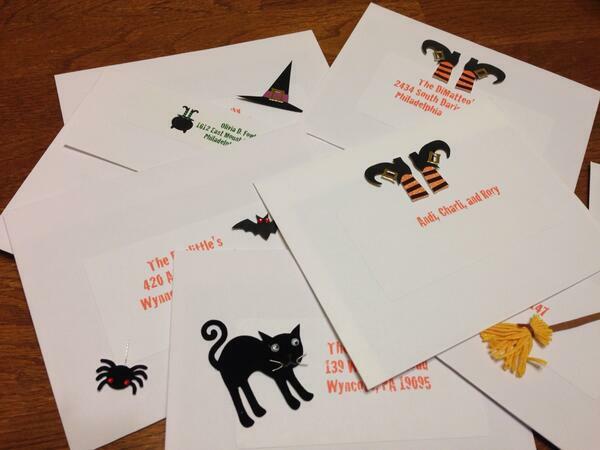 You know I love a good party – and I love Halloween! It has always been one of my favorite holidays. 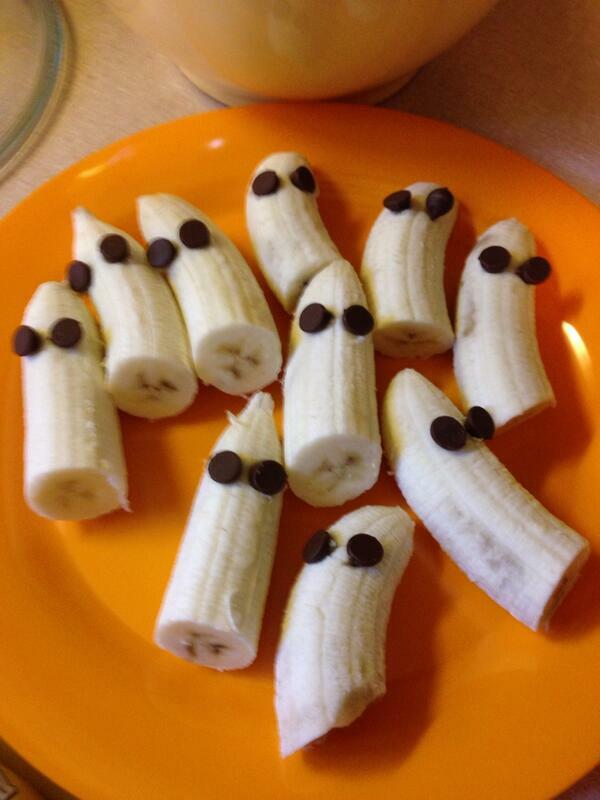 I hope by having fun get togethers for Halloween that Olivia will grow to love this holiday too. She is intrigued by the thought of Halloween this year. She is starting to get the idea, but not really sure what to make of it. She loves asking people what are they going to be for Halloween. Ok – let’s get to the party! 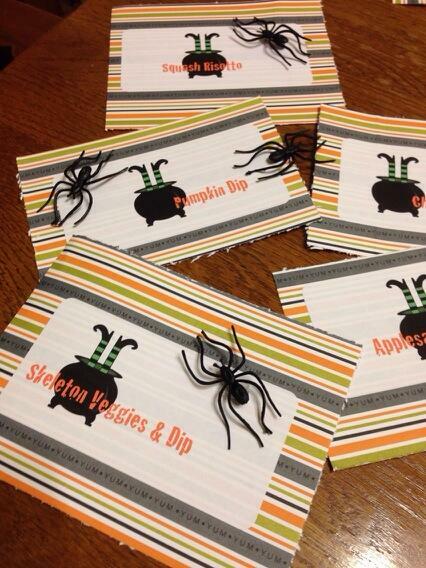 I used the same image and font for the menu cards – which I printed on labels then affixed them to some YUM Halloween cardstock. 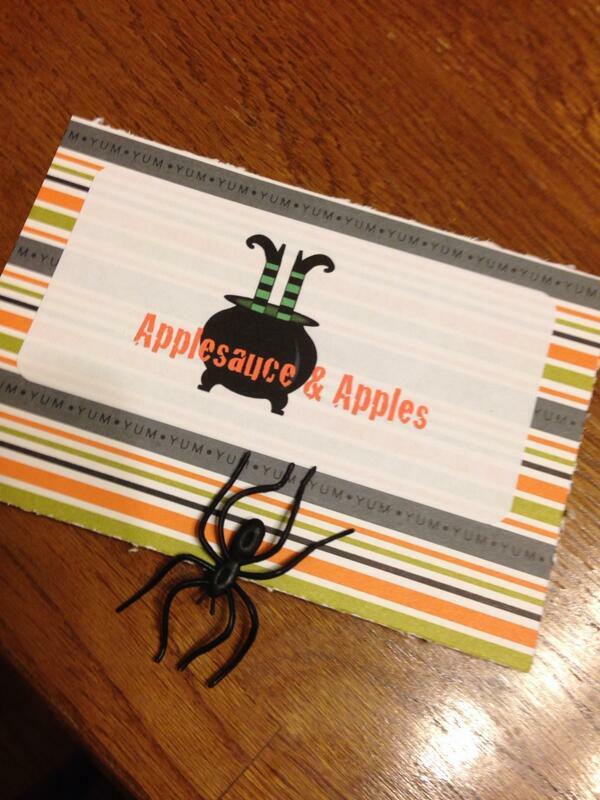 I attached plastic spiders with glue dots for a little something extra spooky! We had three “bars” at the party. 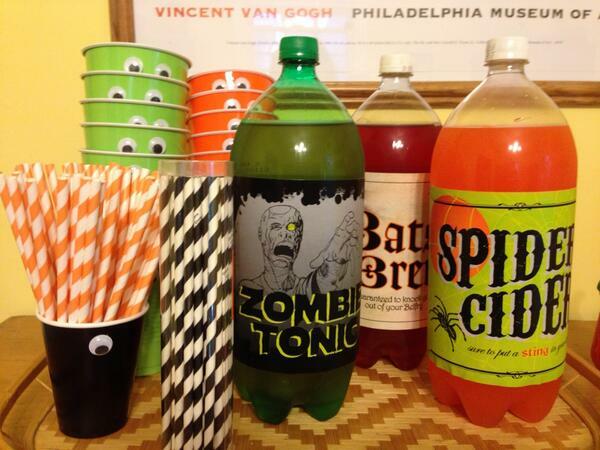 A kids’ bar complete with fun plastic cups with googly eyes, orange and black striped straws and soda with Halloween bottle liners. Martha Stewart has printables for these bottle liners that you can DIY and craft and make really cute – or you can do what I did and buy these from Party City and just peel the stickers and slap them on the bottles! 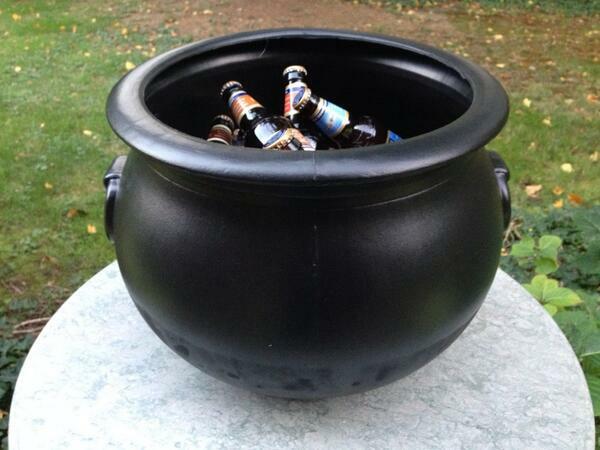 The two adult bars were a witches’ cauldron full of “brew” and a Hot Butter Cider station. Heat cider, rum, brown sugar and spices in a pan on the stove. 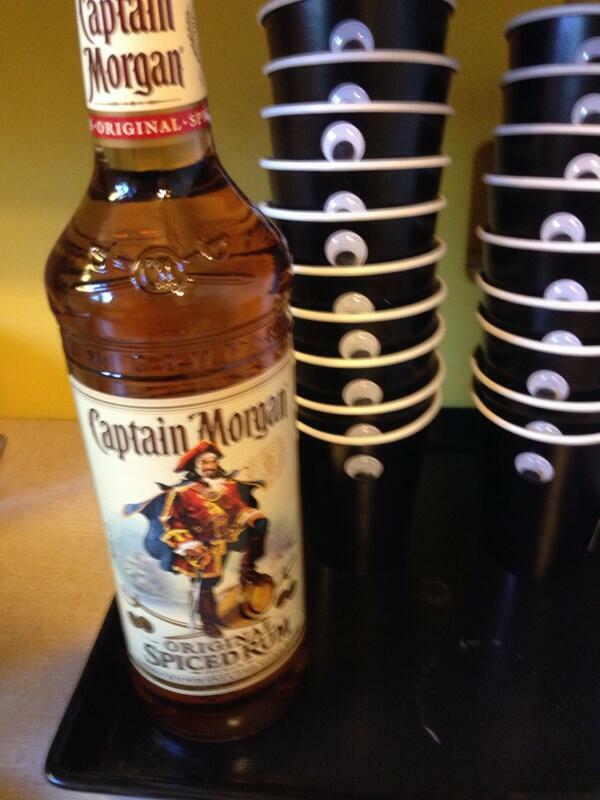 Keep warm throughout the party. Pour in a cup, add a pat of butter and a cinnamon stick. In a large bowl, mix together instant vanilla pudding mix, pumpkin and spices. Fold in the thawed frozen whipped topping. Chill in the refrigerator. 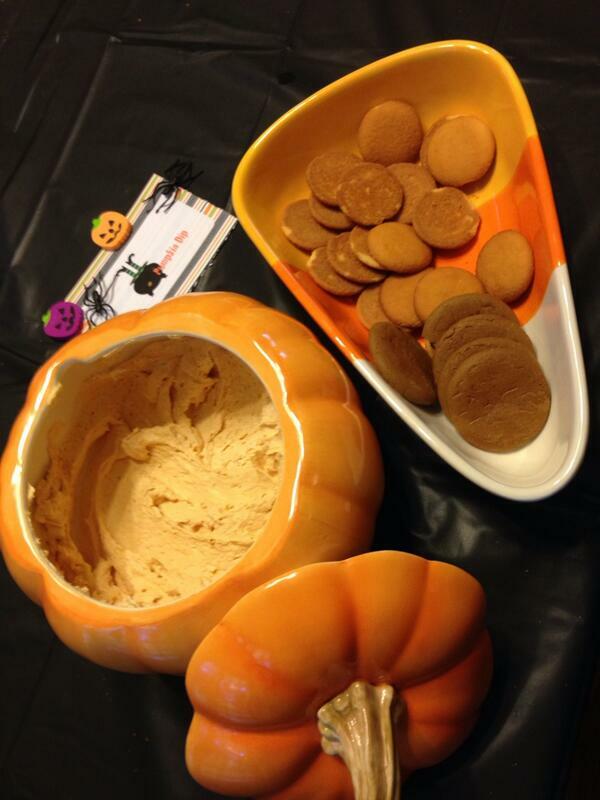 Serve with Vanilla wafers and Ginger Snap cookies. 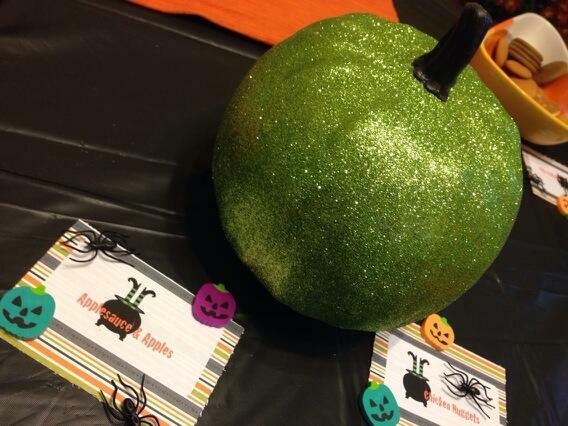 Green Sparkle Pumpkin Centerpiece from Target. Olivia picked it out! 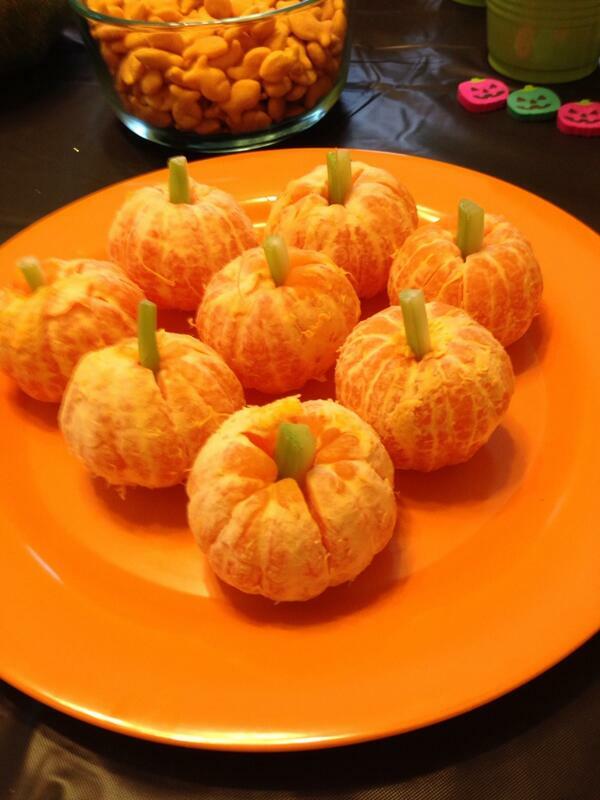 I also used pumpkin erasers to help decorate the table. I took all of these pics before guests arrived and then was so caught up in having fun at the party – I didn’t take any pictures of all the cute kids in costume! But we had a range of adorable outfits: Ladybug, Mouse, Pop Star, Princess Fairy, Iron Man, Rapunzel, and Minnie Mouse. 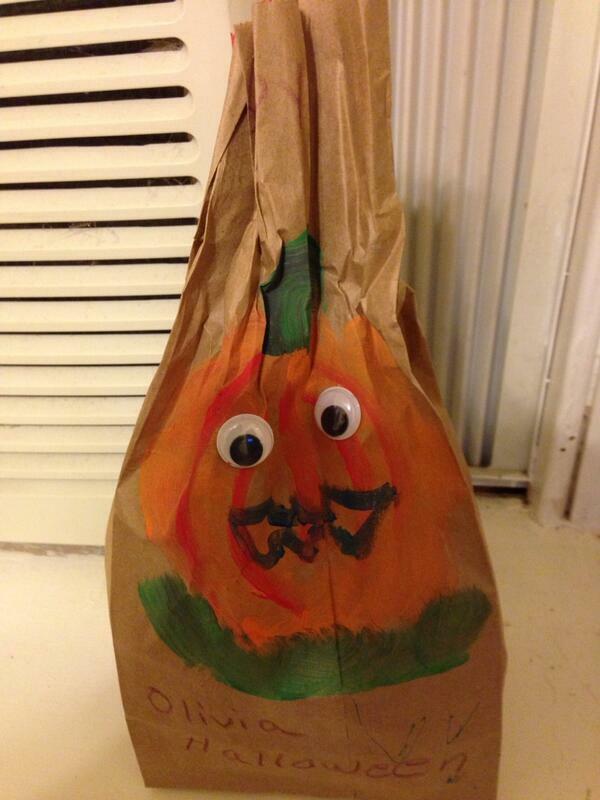 They did a fun holiday craft of painting trick-or- treat goody bags and making paper bag pumpkins and witch faces. 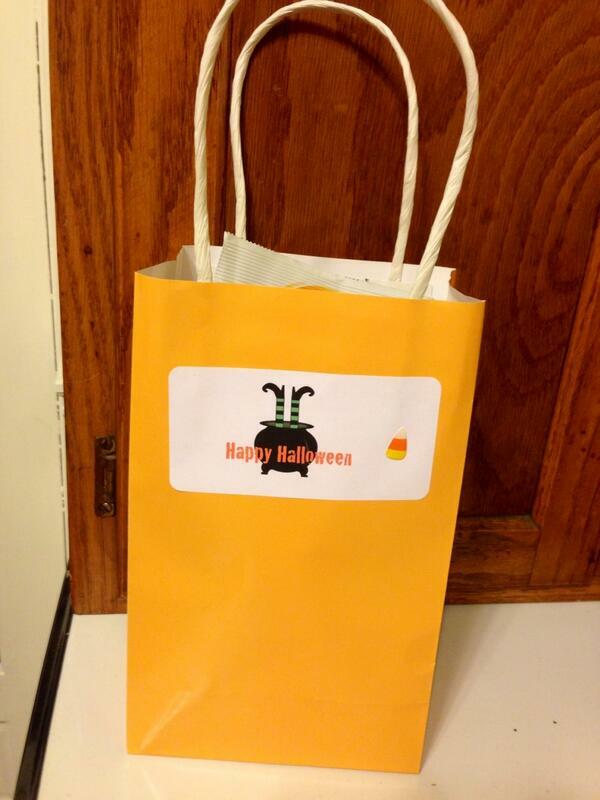 No party is complete without party favor bags, with matching labels and stickers. Gift bags included candy, Halloween stickers and bookmarks, pencils, game booklets, plastic spiders, and topped off with more candy! 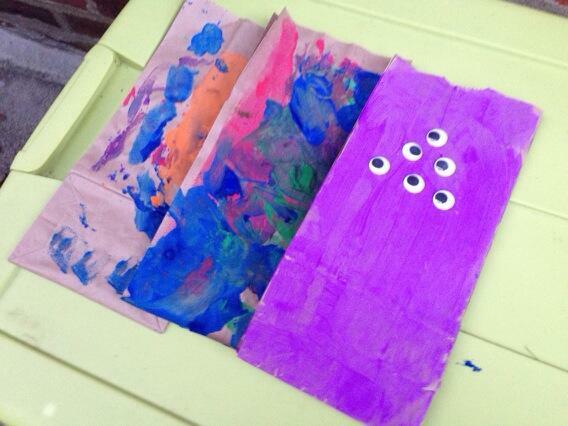 Thank you to everyone who came out to Olivia’s Halloween party! We had a great time and hope you did too! We had a great time! Love your parties!! Oh, I love all of the details. 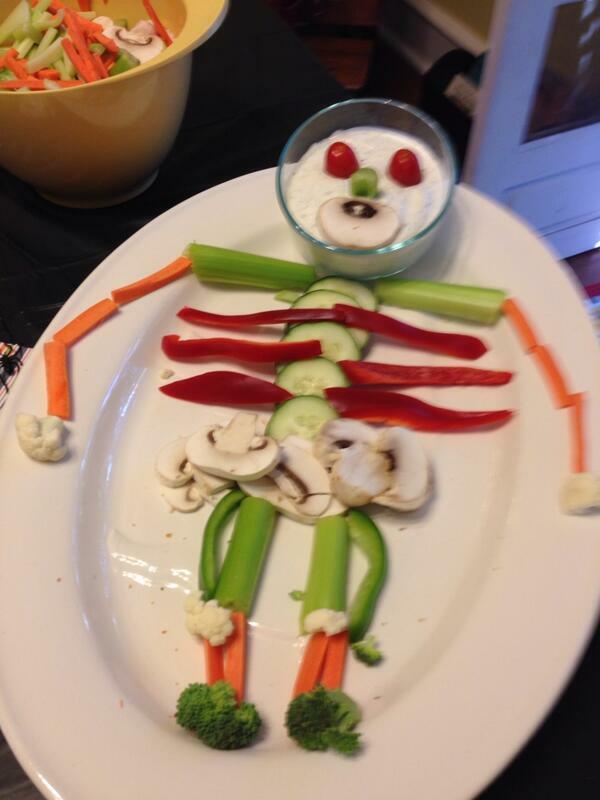 Especially the skeleton veggie platter!!! 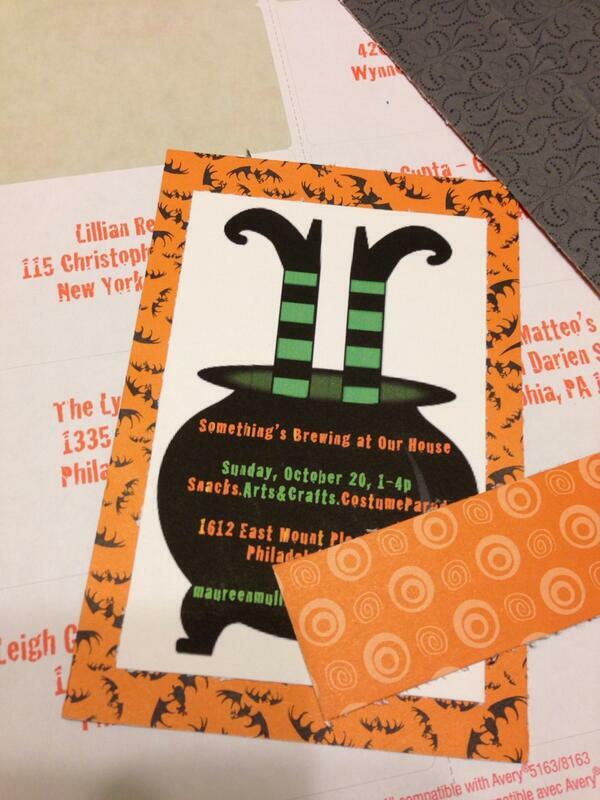 I am hosting a mother/daughter witches tea this weekend and I will be channeling YOU. You are your beloved Mom… Thanks for sharing!